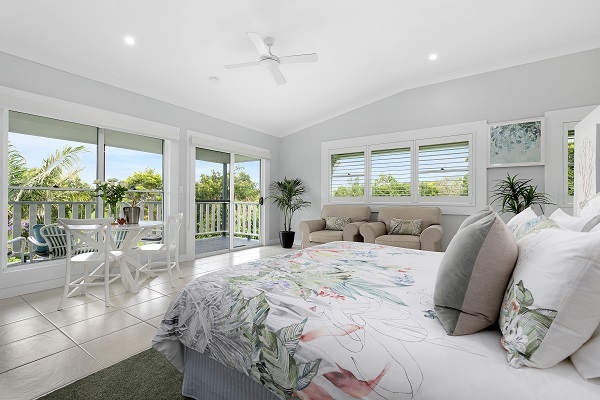 Luxury bed and breakfast set on 11 acres of lush rainforest with sweeping views of the ocean, hinterland and Blackall Range. The Country House at Hunchy is an exclusive bed and breakfast nestled in the Sunshine Coast Hinterland. It’s only minutes from the artistic village of Montville and Maleny, both are renowned for their galleries, award winning restaurants and antique shops. 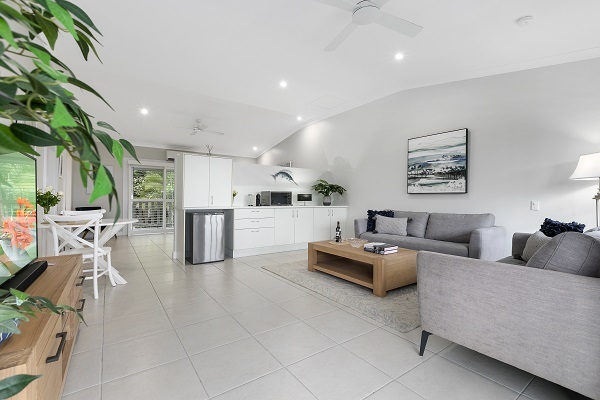 This modern Queenslander is surrounded by a peaceful country and rainforest environment which can be enjoyed from your thoughtfully appointed suite, your private veranda or the 12 metre swimming pool. 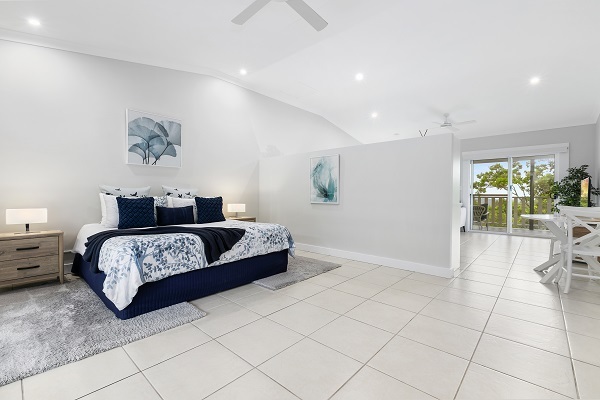 Each suite at The Country House at Hunchy has a comfortable living area with a separate bedroom complete with a walk-in robe. It is fitted with a kitchenette, flat screen television and a sound bar system. The ensuite bathroom includes a spa bath and a separate shower. Luxury toiletries and bathrobes are also supplied. Each suite has a private veranda front and back which overlooks the stunning gardens, swimming pool, rainforest and coast. In the main house there is a beautifully furnished guest library and lounge area. Guests are more than welcome to snuggle up beside the fireplace with a book or board game. A lavish 3 course breakfast is included, this is served in the dining room which has spectacular views of the rainforest valley. The Country House at Hunchy is perfect for romantic getaways, honeymoons or for those looking to relax in the Sunshine Coast Hinterland. 1 hour and 30 minute drive from Brisbane. 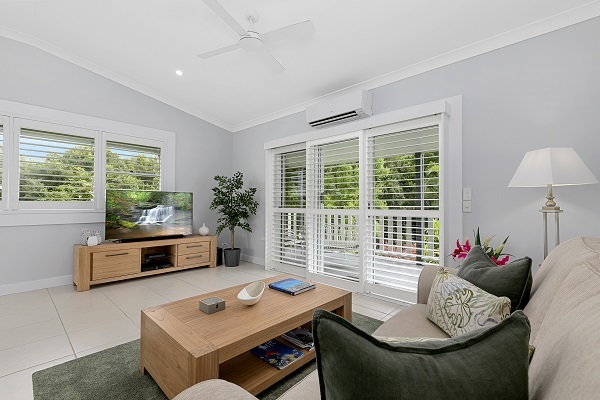 35 minute drive from the Sunshine Coast Airport. 25 minute drive from Maleny. 9 minute drive from Montville. Where full payment has been made a full refund will be made if cancelled more than 7 days before arrival. Only 50% of full booking cost is refunded if cancellation is less than 7 days before arrival.